ProVent Plus Style PPH439-99 is certified to NFPA 1999 for use as part of a system of components with other protective equipment. The certified style does not include attached shoes/bootcovers. 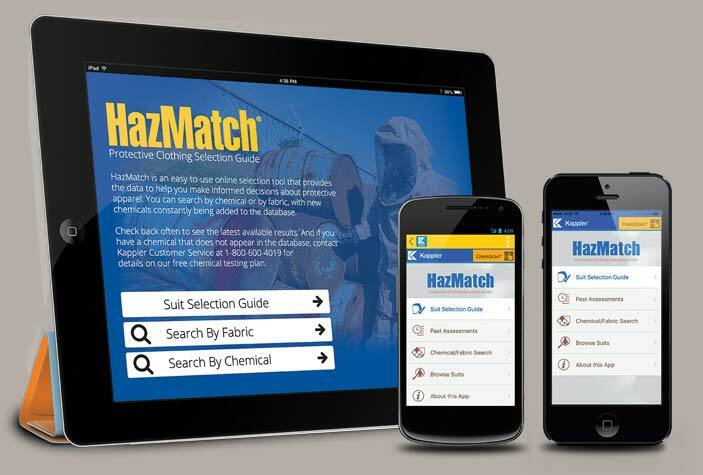 A range of products from general biohazard protection to certified apparel for CDC guidelines. ProVent® Plus provides high-performance, breathable protection for a wide range of healthcare and emergency response situations. The ProVent Plus line ranges from lab coats and gowns to the NFPA 1999 certified garment which meets CDC/OSHA guidelines for protection against Ebola infected body fluids and other biohazards. ProVent® Plus is the only economically priced single-use garment certified to NFPA 1999, while also meeting OSHA and CDC guidelines for biohazard exposure. The use-and-dispose distinction of ProVent Plus means emergency responders and healthcare workers faced with infected body fluids and other biohazards can achieve proven protection at a much lower cost than reusable garments. In addition to passing the ASTM F1671 blood and viral penetration tests, ProVent Plus is a microporous fabric that offers increased comfort due to its high moisture vapor transmission rate (MVTR). The demanding NFPA 1999 certification covers use as part of a system of components with other protective equipment including respiratory, eye and face protection, examination gloves, boot/shoe covers and over aprons. ProVent Plus meets OSHA and CDC guidelines as part of such a protective system. ProVent Plus NFPA 1999 certified single-use garment offers economical alternative to costly reusable apparel. 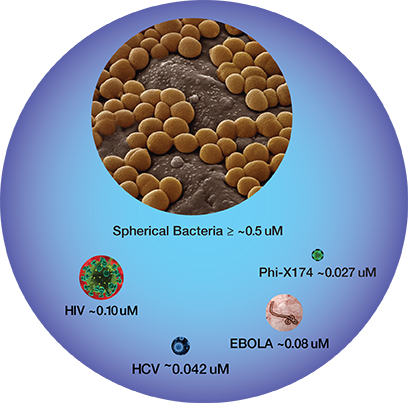 Protects against Ebola infected blood and body fluids and other biohazards. ProVent Plus fabric passes both ASTM F1671 blood and viral penetration tests. Microporous fabric offers a high moisture vapor transmission rate (MVTR) for greater comfort. Finger loop attached to sleeve enhances comfort and protection. ProVent Plus Style PPH439-99 is not made with natural rubber latex. Typical Applications: Patient care and other healthcare settings, EMT and other emergency response support, lab and diagnostic services, pharmacy work, autopsies, mortuary services. The guidance is in a matrix format and identifies the type and level of PPE performance. 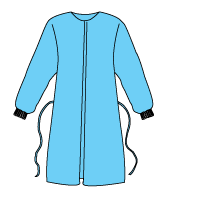 It includes protective gowns and coveralls, described as fluid resistant or impermeable. 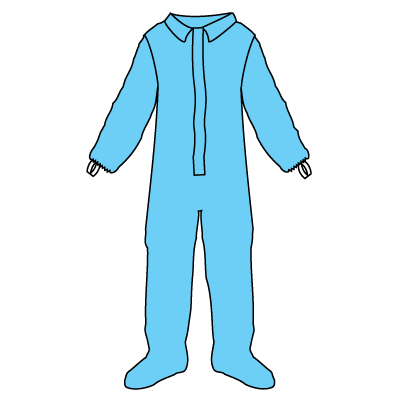 Fluid resistant garments are specified where the risk of exposure to blood and body fluids is low. Fluid resistant garments are defined as those with fabrics and seams that meet certain industry standards for liquid repellency. 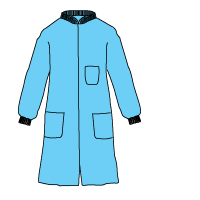 Impermeable garments are specified for scenarios with high exposure risk. Impermeable garment definition references industry standards and test methods for blood and viral penetration resistance under pressure. Protection is achieved by a system of components. In addition to protective apparel, a proper system includes respiratory protection consistent with OSHA 29 CFR 1910.134, plus eye and face protection, examination gloves, boot/shoe covers and over aprons. ProVent® Plus, Affordable NFPA 1999 Protection. 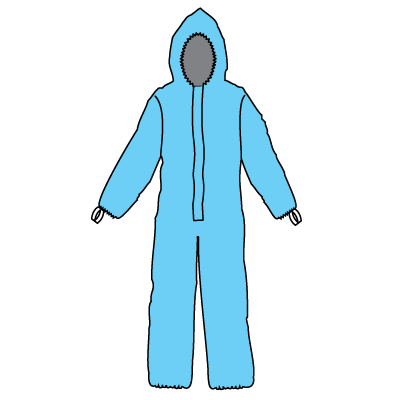 Hood, zipper front with storm flaps, elastic back waist, wrists ankles and face opening. Note: Garment has Heat Sealed/Taped Seams on inside. Hood, zipper front, LongNeck™ Respirator-Fit Closure, elastic back waist, wrists (with finger loops) and face opening, attached skid resistant shoe/boot covers. 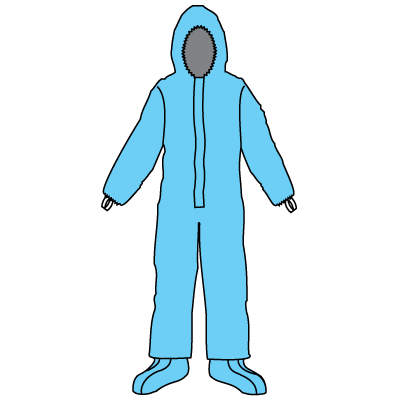 Hood, zipper front, LongNeck™ Respirator-Fit Closure, elastic back waist, wrists (with finger loops), ankles and face opening. Hood, zipper front, LongNeck™ Respirator-Fit Closure with single storm flap and tape closure, elastic back waist, wrists (with finger loops) and face opening, attached skid resistant shoe/boot covers. Hood, zipper front, LongNeck™ Respirator-Fit Closure with single storm flap and tape closure, elastic back waist, wrists (with finger loops), ankles and face opening. Emergency Medical Garment coverall. 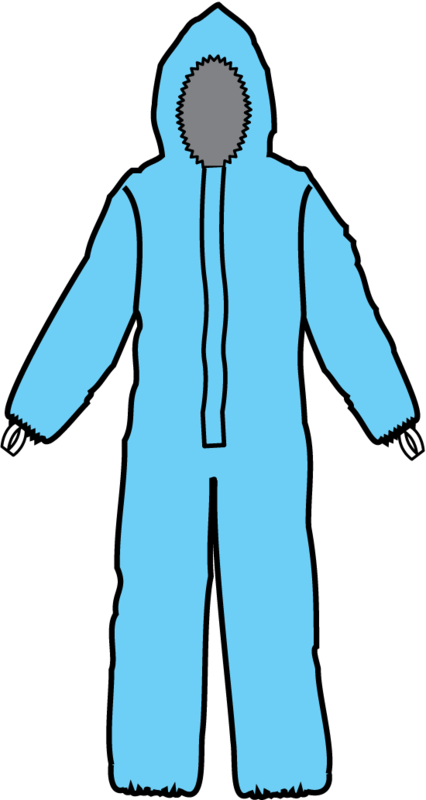 Zipper front with single storm flap and tape closure, elastic back waist, ankles with attached sock boots, elastic wrists (with finger loops). 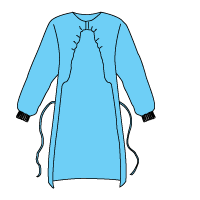 Full cut, 6 snap-front fastener, kint collar and cuffs, 3 sewn-on pockets (1 breast and two hip). Wrap-Around Gown. Hook and loop neck fasteners, two waist ties, knit cuffs, non-sterile. Open Back Gown. Hook and loop neck fasteners, two waist ties, knit cuffs, non-sterile. 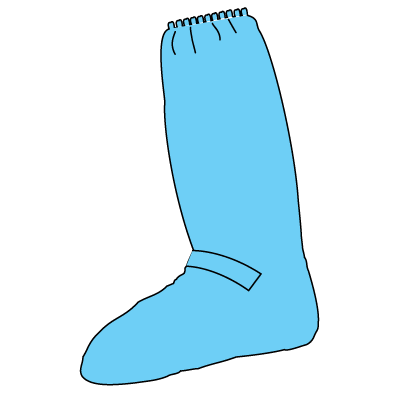 Knee-High Boot. Hook and loop ankle fasteners, elastic at top of boot, 2-ply sole.